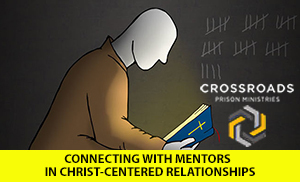 At LifePoint we are proud to be, “Focused On Christ, Faithful In The Community”. Jesus tells His disciples they will receive power from the Holy Spirit, and they will be His witnesses in Jerusalem, Judea and Samaria, and to the ends of the earth. We believe the same is true today and one way we accomplish this as a family is through outreach and inreach missions. We are called to be faithful in our local as well as global community. Our goal is always to help meet the physical and spiritual needs of others around is, both locally and globally. We invite you to join us. We are a church that wants to send people from our community to serve others. How are we “Faithful In The Community”? Did you know that our LifePoint family collects travel sized toiletries and laundry supplies to help the homeless in our communities? 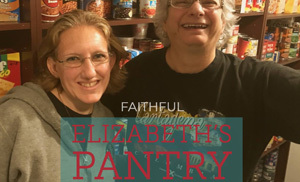 In the lobby at the worship center is a collection box titled “Elizabeth’s Pantry” ad inside that is a receptacle for toiletries. All of these are given to The Christian Sharing Center to help the homeless in their facility, the Oasis. The Oasis has been providing services to the homeless in our community, regardless of “where they slept last night” for many years. The Oasis is a one-of-a-kind facility in Seminole County for homeless hygiene and respite services. They provide: showers and toiletries, laundry, haircuts by licensed cosmetologists, computer access and cell phone charging. Traveling? Save those toiletries from your hotel rooms and put them to good use. 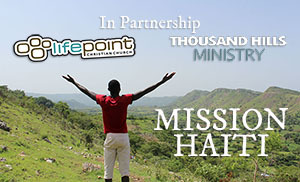 Bring them to LifePoint and we will get them to The Oasis. 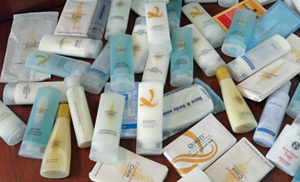 Travel-size toiletries are distributed to guests free of charge. Other supplies are needed to operate the center including laundry detergent, bleach, vinegar, flip-flops, coffee, and gloves. 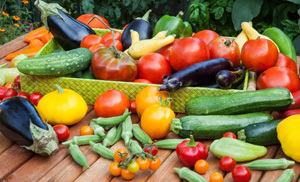 LifePoint maintains and garden and grows fresh vegetables that are provided to The Sharing Center Food Pantry. The food pantry is a place where families and individuals in need can receive good food that help through a tough time. Each family receives two bags of hand-selected, customized, nutritionally balancd food for each member of the family. A family of 4 will receive 8+ bags of food in order to satisfy their dietary needs for at least one week. A homeless individual will be given enough food to last 2-3 days, or as much as they can carry and store. For more information in using the Sharing Center Food Pantry, CLICK HERE. 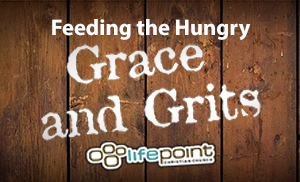 Food is available for any attender or LifePoint Partner. If you have extra, bring a bag to share. If you have need, we want to share with you. Contact our church office to schedule a time to come by and get a few bags of groceries.